Monday April 15, 2019-COTU Secretary General, Francis Atwoli, has blasted Deputy President William Ruto for underpaying his workers, saying he should never be allowed to become President in 2022. Speaking at a fundraiser in Lamu which was also attended by Mombasa Governor Ali Hassan Joho, Atwoli touched on the controversial Weston Hotel and the ills and sufferings that goes on there. 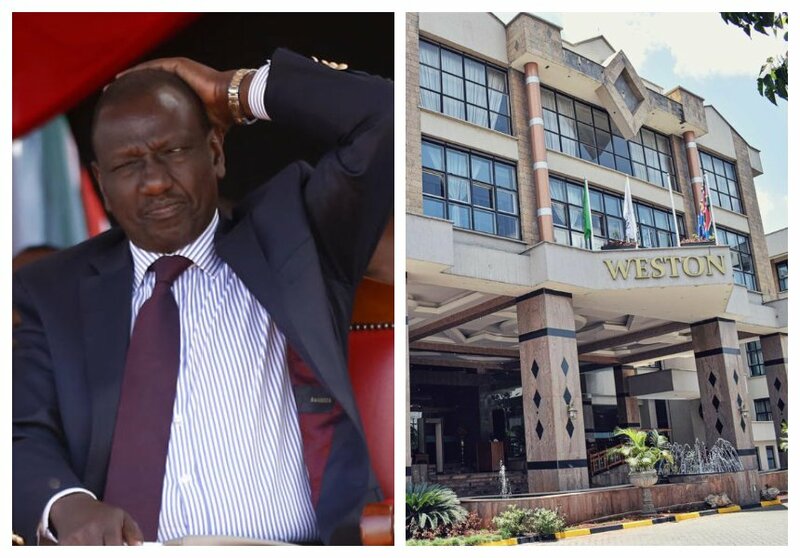 The COTU boss claimed that Ruto underpays workers at Weston Hotel which is why Kenyans should never allow him anywhere near the State House in 2022. "Angalia Hoteli yake ya Weston, yeye ameandika wafanyikazi wote casual. Mfanyikazi wa mshahara mkubwa kwa hoteli yake ni Ksh 20,000. Akichukua nchi kutakuwaje? (Look at his Weston Hotel; he has employed all workers as casual. The highest paid worker at the hotel earns Ksh 20,000)" he said.